Holy mother of Gawd…this is mind-blowing. I guess I won’t go the route of Author Solutions. The Amazon-Hachette dispute has caught the media’s attention. But what about the story the media refuses to cover? The media is more concerned with one-sided accounts of Amazon’s perceived actions – when no one really knows the exact nature of the dispute. The media is more concerned with what Amazon might do in the future, than actual author exploitation by the world’s largest trade publisher: Penguin Random House. 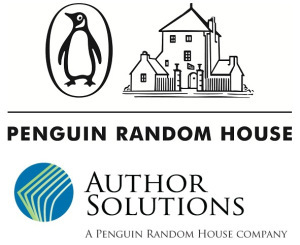 Penguin Random House owns the world’s largest vanity press – Author Solutions – which is currently subject to a class action for deceptive business practices, breach of contract, unjust enrichment, and violation of business statutes in California, New York, and Colorado. The court papers cover the same ground that I’ve been blogging about for the last three years, that Writer Beware has spent even longer documenting, and others like Emily Suess and Mick Rooney have covered in extensive detail. Is it possible to write a highly-acclaimed novel in just three days? Science fiction and fantasy writer Michael Moorcock proved it can be done. He has earned a reputation as one of the field’s most celebrated authors. As both a writer and longtime editor of the British magazine New Worlds, Moorcock has been a major figure in the “new wave” science fiction movement. His existentialist time travel novel Behold the Man won the prestigious Nebula award, and he is justly famed for creating the unforgettable fantasy anti-hero Elric of Melniboné.